While most consumers look to compact crossover SUVs for their roomy interior and added ground clearance, the 2014 Kia Sportage SUV tosses in desirable attributes such as power, styling and loads of features. Less desirable is the Sportage's lackluster fuel economy, harsh ride and minimal cargo space. That it is a very safe car with plenty of room and a very smooth ride. I bought my Kia Sportage in march of 2018 and couldn't’ have been happier. My Kia is not brand new, it is a 2014 but it drives like a new one. It has a very smooth ride and plenty of room for three passengers to sit comfortably. Shopping with my Kia is simple and convenient as there is a lot of room to put my bundles. It is a very reliable car. I also like how it has a very easy way of answering the phone, see it is programmed to the steering, it also has a very strong air conditioner that cools the car in a matter of minutes, it has a vent in the back seat which helps cool the entire car. I would strongly advise anyone to buy a Kia. I also would recommend a SUV. This is my first one and I know my next car someday will be another Kia SUV. A dependable and economical SUV. I became interested in the Kia line of vehicles because of the excellent warranty of 10 years/100, 000 miles. 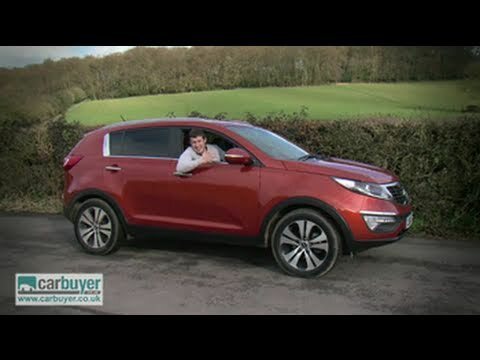 Kia offers the Sportage which is a compact SUV and that is the size I was interested in. The Sportage performs really well and has proven to be very reliable. I have had no major issues in the past 4 years while owning this vehicle. The safety features such as the eservices give me added peace of mind. Other features I like are the precision steering, back up camera and Bluetooth capabilities and excellent gas mileage. The interior is roomy for a compact SUV. The seats, especially the back, could improve in comfort. Great drive, easy fix, good gas mileage, no major issue. My Kia Sportage is great. The main reason I purchased a Kia is because all mechanics in my immediate area are able to work on it for a reasonable price. Also, I am only 30 min away from a Kia dealership. It gets good gas mileage, depending on how you drive. I have not had any major issues with it except I had to purchase new brakes and rotors. The previous owner did not take good care of them. I have driven to 4+ hour long trips and it is comfortable and able to handle longs trips easily. Also, the size is large enough to store plenty of things while at the same time not being extremely bulky and difficult to drive.